In glyphosate (G)-based herbicides (GBHs), the declared active principle G is mixed with several adjuvants that help it to penetrate the plants’ cell membranes and its stabilization and liposolubility. Its utilization is growing with genetically modified organisms engineered to tolerate GBH. Millions of farmers suffer poisoning and death in developing countries, and occupational exposures and suicide make GBH toxicity a worldwide concern. As GBH is found in human plasma, widespread hospital facilities for measuring it should be encouraged. Plasma determination is an essential prerequisite for risk assessment in GBH intoxication. Only when standard ECGs were performed, at least one abnormal ECG was detected in the large majority of cases after intoxication. QTc prolongation and arrhythmias along with first-degree atrioventricular block were observed after GBH intoxication. Thus, life-threatening arrhythmias might be the cause of death in GBH intoxication. 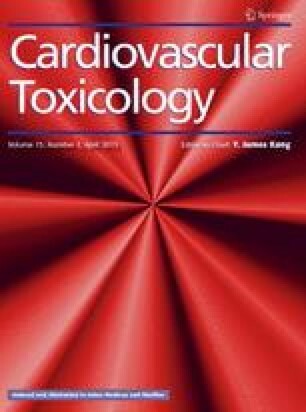 Cardiac cellular effects of GBH were reviewed along with few case reports in men and scanty larger studies. We observed in two mammalian species (rats and rabbits) direct cardiac electrophysiological changes, conduction blocks and arrhythmias among GBH-mediated effects. Plasmatic (and urine) level determinations of G and electrocardiographic Holter monitoring seem warranted to ascertain whether cardiovascular risk among agro-alimentary workers might be defined. None of the Authors has any conflict to disclose. We thank CRIIGEN, in particular, for its financial and structural support to S.G.